The latest cinematic look at Pablo Escobar is titled Loving Pablo for a reason: it’s based on Colombian journalist Virginia Vallejo’s book Loving Pablo, Hating Escobar. Fernando León de Aranoa makes a concerted effort to show as much in his opening by following Vallejo (Penélope Cruz) to an American hotel room over a decade after first meeting her long-time, not-so-secret boyfriend. We hear her voiceover explain how this journey’s circumstances are much different than earlier ones, laughing with her when DEA Agent Shepard (Peter Sarsgaard) says aspirin’s drug status means the concierge can’t send her some. 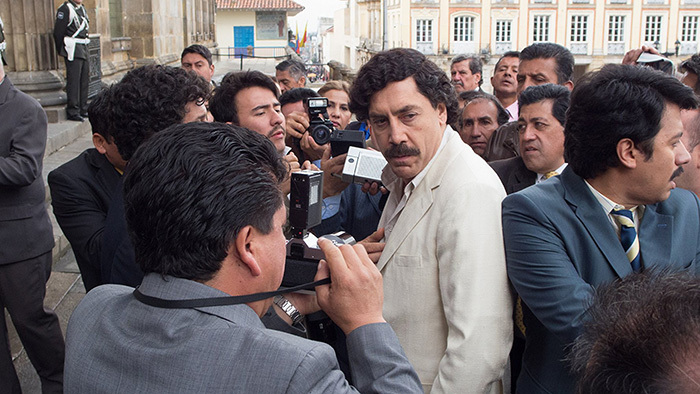 We ready to witness Escobar’s (Javier Bardem) reign from her unique perspective that allowed his drug-lord violence to take a backseat to love, wealth, and power. But that’s not what we receive. The movie’s quick rewind tries its hardest to do so by introducing Escobar through her vantage point, but this can only last so long being that he would never dream of leaving the mother of his children (Julieth Restrepo’s Maria Victoria Henao). 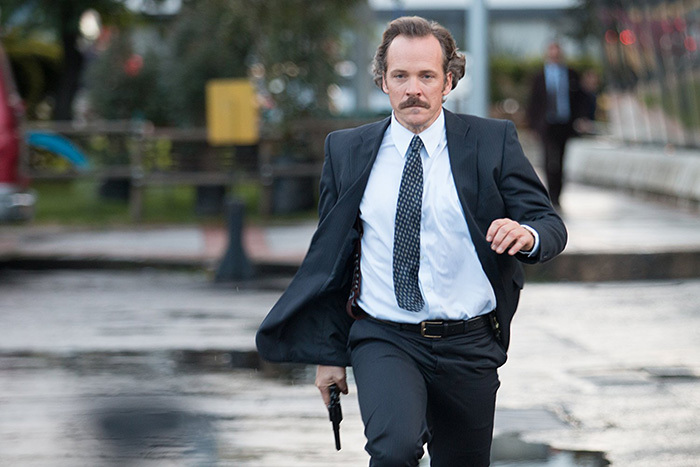 Vallejo becomes an inevitable victim to the ever-escalating wake of collateral damage the Medellín cartel creates. She becomes a target not only of the DEA for cooperation, but also by those in her country no longer willing to turn a blind eye to her personal connection with a ruthless murderer. Virginia is therefore absent for a large portion of the proceedings once the heat gets too hot for her successful television career — an ace in the story’s sleeve that the prologue promises to use later. It’s that portion where we simply watch Escobar’s ascent to infamous glory as his nation’s “Robin Hood” and subsequent descent in the public’s perception after letting personal vendettas spill over into his public (congressional) life. The trajectory is a fascinating one with many crazy developments able to shine a light onto just how intelligent Pablo was as far as playing the political and financial games necessary to survive the increasingly microscopic view of the world’s authorities. He knew what would keep him out of jail and what could be accomplished to retain autonomous control when jail ultimately becomes his only option. We watch as that carefree smile turns to dead-eyed paranoia, his belief of being untouchable disintegrating as those he trusts find themselves in better positions of freedom. This lengthy section of the film is at best by the numbers, though — a Cliff’s Notes summation exposing the decade-long dismantling of his life and power. It unfolds with clinical precision, its historical truths revealed in sequence without any real dramatic stakes. It’s the sort of progression that lends itself well to documentary because facts are all we’re being given. The rare moments of catching up to Vallejo do little more than cement her fear of retribution, something we already believed the first time. And considering the film begins with her assisting Shepard, suspense becomes a non-starter. She will live until that day she boards the plane, her life crumbling until she eventually breaks her loyalty to Pablo. That’s what she has first-hand knowledge about: her actions. So why not show them? Why not focus on her sense of futility since it’s her perspective that sold books and film rights? We can watch “Narcos,” search online encyclopedias, or even laugh at “Entourage” to learn details about the man she loved. What Vallejo possesses is an inside look at what it was like to love him. She could tell us about the softer side of this monster, humanize him in a way we’re often reluctant to do. But de Aranoa doesn’t even let her do that. We only experience Escobar’s compassion via his wife and children. I understand that Vallejo is a journalist who would have kept up on his comings and goings to know things outside of her relationship, but hundreds possess that second-hand account. 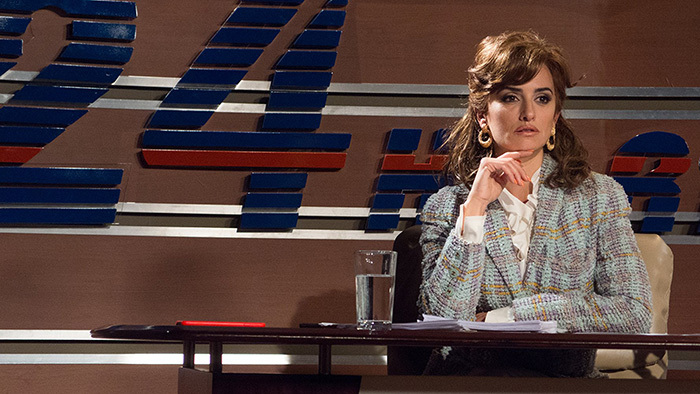 Loving Pablo had the opportunity of making Virginia Vallejo its star. It should have pushed Escobar to the background so Bardem could shine as a villain-in-waiting instead being gifted the spotlight. We see his devolution once the pressure of being a kingpin takes him away from pet projects like building communities for the less fortunate Colombians in his hometown. We see it happen in real time with Virginia sometimes by his side and sometimes not. She becomes a tour guide within his story rather than leader of her own — a sad realization rendering her expendable to us as far as her importance to the whole. The filmmakers need their most intriguing component to sell a unique perspective, but waste her as a springboard towards the same old story. The result isn’t entirely bad if you’re here to simply watch a Pablo Escobar biography. Save poor prosthetic work that could have been forgiven if not for so many instances of Bardem sitting down with shirt open to reveal the stiffness of his fake belly, the production value is high. Its period detail appears well constructed and the performances are across the board good. Cruz is wonderful when she’s given some real dramatic trauma to sink her teeth into (which is sadly not often enough) and Bardem really leans into the hubris and remorselessness of Escobar so examples of authentic emotion (taking his daughter for ice cream) can prove potent. I only wish de Aranoa focused more on these memorable small moments and less on an historical timeline. Those are what make biopics more than reenactment: tiny shifts of perspective that allow us to understand and recognize the nuance of becoming a monster. Sadly Escobar’s transition is shown too rapidly to remember who he was. His greed and desire for respect takes over so early that everyone becomes an obstacle to climb over either by force or lies. With only twenty minutes of relevant “love,” the whole becomes a monotonous treatise on the physically and psychologically insulating power of money. It’s therefore ironic that de Aranoa took the first half of Vallejo’s book title when the second is so much more relevant to what’s onscreen. He presents the Hating Escobar part and loses intrigue for it. There’s nothing new about hating monsters. It’s what we do. Loving Pablo gets a limited theatrical release and hits Digital HD/VOD on Friday, October 5.